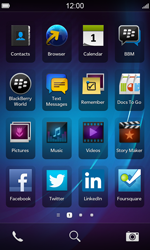 Use the synchronisation software on your computer to install the latest updates for your BlackBerry Z10. Connect your BlackBerry Z10 to a computer with a USB cable and continue with the following steps. 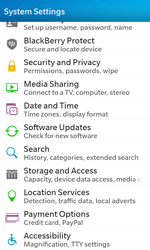 The BlackBerry Z10 is now searching for software updates. Available updates will be displayed. In this case, choose Update. 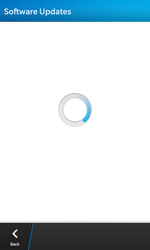 The update is downloaded and installed on the BlackBerry Z10. 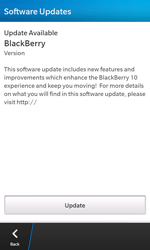 The BlackBerry Z10 now has the latest software update.